After a 10th place finish in last year’s Big Ten championships lead by a top 10 individual performance from then junior Jordan Hahn, the Badgers got off to a less than optimal start during their fall golf season. Finishing 10th at the Badger Invitational and 11th at the Northern Intercollegiate, the Badgers fell short of last year’s performances and this year’s expectations of those same tournaments. Last season, the Badgers managed to record a top-five finish at the Badger Invitational as well as a ninth-place finish at the Northern Intercollegiate. Despite the comparatively weak performance at the onset of this season, the team looked to bounce back and finish the fall series of tournaments in a strong fashion. “We did kind of get off to a rocky start in the first few events, but then we bounced back and played well towards the end,” Hahn said. And bounce back the Badgers did. Shooting 11 under par over 54 holes, they forged a new school record for overall team score and finished tied for sixth amongst an absolutely stacked field of teams. Furthermore, the Badgers capped off the fall season with a victory at the Pinetree Intercollegiate, lead once again by Hahn capturing a share of the first-place individual title. This success came just as the fall tournament circuit was ending and the winter off-season was beginning. Yet the Badgers have no plans to cease setting records and winning tournaments in the spring. Motivated by a flurry of solid performances towards the end of the first half of the season, the Badgers seek to improve as a team to continue their success. 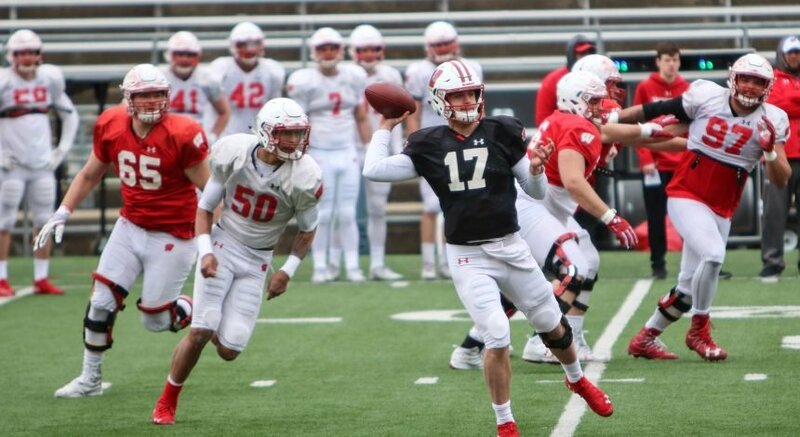 Even with a regimented practice program and plenty of off-season time to travel and practice, the Badgers are often at a distinct disadvantage compared to their opponents to the South and West that enjoy warm weather year-round. Facing near arctic temperatures this winter, they have to deal with the hand they were dealt, which, Hahn said, is still quite a good one. Cold or no cold, the Badgers are determined to make this season a good one. And, with the team season planning — surrounding their off-season practices as well as the resources made available to them — it’s tough to doubt that they will do just that. A strong work ethic and the facilities needed to exercise that motivation certainly work in favor for the Badgers. They also have experience on their side. Every starter from last year’s Big Ten championship tournament — except then-senior Eddie Wajda — is returning, making Wisconsin’s chances of a greatly improved performance at this year’s installment of the tournament. Young talent has also already begun to make a difference for the Badgers this year, most specifically with freshman Cameron Frazier. Frazier put up promising numbers while competing as an individual. He is just one piece of a new wave of incoming talent that also includes two new recruits for 2019 out of California. 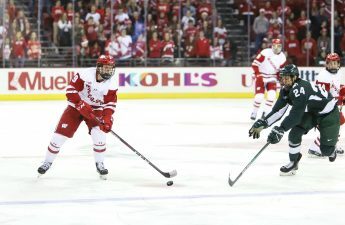 Young talent, increased experience and great potential for off-season improvement present a unique opportunity for this year’s Badger team as well as future teams to come. But the path to victory and possibly a Big Ten title is lined with formidable contenders. With teams like Illinois who won the Big Ten title last year by a stunning 15 combined shots over three days, the team must be willing and able to take on the best talent in the country to obtain success. Nevertheless, Hahn and the team believe they have what it takes to take on the best of the best. It’s just a matter of execution, he said. Hahn has had that necessary chip on the shoulder to compete with the best of the best all season as he has consistently placed at the top of the field in competitive play. Hahn has finished inside the top 20 in every tournament except one, recorded a nine-under-par, and finished top 10 at the Notre Dame intercollegiate. He has certainly started the season off with a bang. 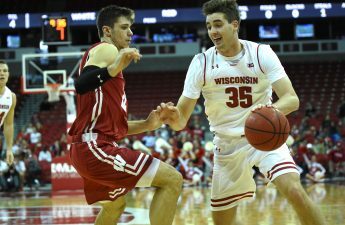 Hahn has been producing success for the Badger team since he arrived four years ago. Despite his long list of accolades, he still has his sights set high for the remainder of the season. For Hahn and the rest of the team, the sky is both the limit and the goal for the spring portion of the 2018-19 season. 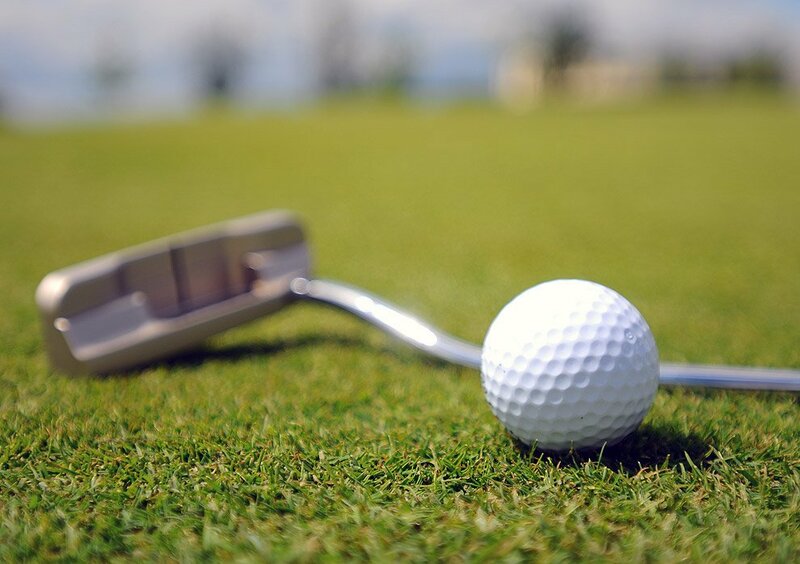 Everything that the team has done within the past few months indicates that the spring circuit of tournaments could be a great one for the Badgers. Distinct success may very well be in the future for the Badgers, and it would be a great way to end the collegiate career of a senior leader like Hahn that has given so much to the team. The Badgers spring opener of Big Ten Match Play will take place Friday and Saturday at Hammock Dunes golf course in Palm Coast, Florida.